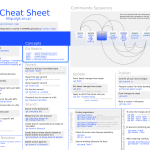 Just saw that Zack Rusin has posted a Git cheat sheet on his blog. This came in really handy since I am moving from SVN to Git. Download Instructions and More information at Author’s Blog here.